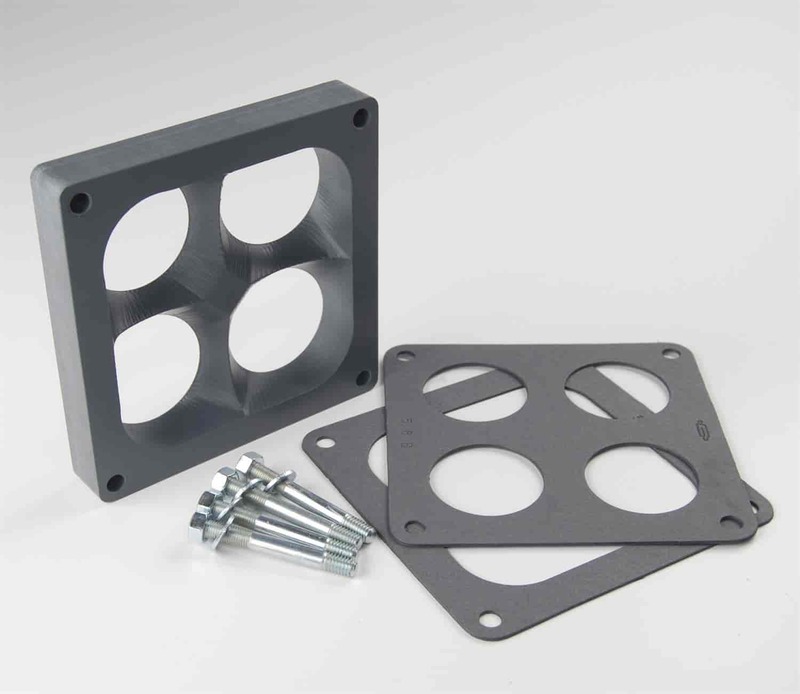 Our phenolic carburetor spacers are available in three heights for your tuning requirements. These spacers are designed to lower the transfer of heat from the intake manifold to the carburetor keeping the fuel at lower temperature for an increase in power. The fine tuning advantages with spacer heights due to track or altitude conditions can give you an edge on your competitors. Complete with gaskets and mounting hardware for easy installation. Not for use with stock manifolds with heat crossovers, can withstand temperatures to 400°. If you already have the standard carburetor spacer and are looking for performance improvement then you need to look over the "Edge". For those who are extremely serious and over the "Edge", here is the ultimate in carburetor spacers. We have taken the 4-Hole spacer to the limit in development. It now features the Flow-Enhancer Cavity. This CNC machined cavity enhances flow and increases power and also aides in consistency when used in conjunction with under carburetor throttle stops. Gains of 10 to 50 hp have been seen depending on your combination. Complete kit with gaskets and mounting hardware for easy installation.